Today, I’m going to share a favorite book with you. 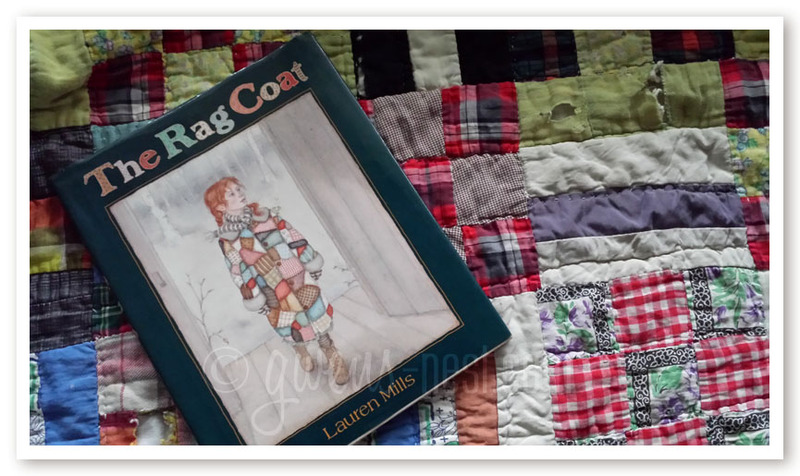 The Rag Coat by author Lauren Mills is a book that my children and I both thoroughly enjoyed. Like all great books, it opened up rich conversations that grew beyond the storyline of the book. Our morning conversations wove through botany, our national and family history, and the history of the quilt that we snuggled under as we read. I have a big soft spot for quality children’s literature, and all the more if it’s got good illustrations. The gorgeous watercolor images sold me before I even read The Rag Coat. (affilate link) Every page is beautifully illustrated, down to tiny patches of watercolor quilt squares scattered throughout the book. I’m also a sucker for history and books set in the south. This book is set in a very poor Appalachian community at the turn of the century. I loved being able to share and talk about how small their home was, and what it must have been like to live back then. We looked at each item that they had in the kitchen scene and thought about what it was used for. The main character, Minna is shy and a little fragile, but her courageous spirit wins out in the end, and the book has such a touching ending. I won’t give away the story line here, but you get to walk through the process of a young girl getting her first coat to go to school, and it’s made of a patchwork quilt. The concepts of grief, community, making the most of what you have, and savoring the memories and the people in your life are beautifully presented. Be sure you have some tissues on hand. Minna’s sweet and powerful understanding that “People only need people, and nothin’ else” is timeless and timely for a time when we have maybe a little too much. The Rag Coat is featured in the Five in a Row collection (affiliate link). I love the Five in a Row curriculum-and please don’t let the term “curriculum” be off putting…it’s a beautifully simple way to share great books with your kids. The author builds around the list of recommended quality children’s literature to create a really easy and enjoyable way to share and learn together. It can really be used by *anyone* who wants to share great literature with the children in their lives. The idea behind Five in a Row is to read a good book with your children each week, and you read it once a day for five days. (Or as often as works for you.) My kids LOVE this repetition! They look forward to it each day, and remember the story well by the end of the week. The Five In A Row guide then gives different short suggested topics for further learning and discussion based on the story you’ve just read. The ideas are simple, and cover topics ranging from geography to math and the arts. It’s amazing how you can pull different things out of a story each day with just a short discussion at the end. For the Rag Coat, we looked up the Appalachian mountain range on our globe and talked about our family history and growing cotton (things I threw in that related to our family experiences and history). We also used some geometric pattern shapes to create patterns, similar to the quilts in the book. (My kids love playing with the shapes). Five in a Row is great fun, and the kids and I love it. It allows you to have natural guided conversations and activities with kids on the things that you choose to focus on from the book. This sort of organic learning is not just fun for everyone, but it’s very memorable. I love to build in a lot of that for the early elementary ages. My great grandfather, Gramps was a tenant farmer in the 1940’s. They lived in a tiny shack with cracks in the floor where my Grandmother remembers dropping crumbs through to feed the chickens that were under the house. In the winter, snow would blow in through the cracks in their floor and make neat little piles along the floorboards. Their shack was wallpapered in an attempt to seal up the cracks between the boards, but the wallpaper would just fill up with air when it was windy. When my Grandmama was a very little girl, her Mom made a cotton picking sack for her out of a flour sack, and she was out picking with her Mom & Dad at the age of 3 or 4. Picking cotton was very hard work. My Gramps and his whole family were very hard workers and they worked from before sun up to sundown. Because he was such a hard worker, he earned enough to eventually buy his own land and build a house. He worked like this for his whole life, even when he was a very old man, which is the way I remember him. His entire family worked very hard to help too. Even the very little kids! 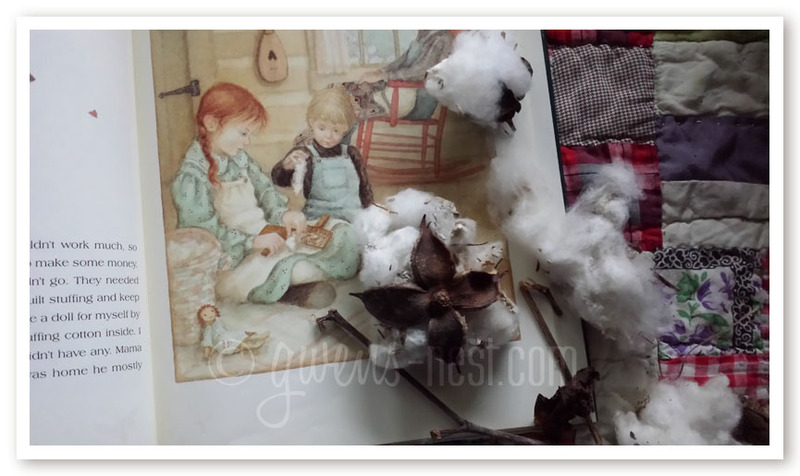 We turned back to this picture in the book, showing Minna using combs to scrape the seeds out of cotton. I remembered that I had picked some cotton off the edges of my Gramp’s fields years ago, and I got it out to look at together. See how sharp the pods are? 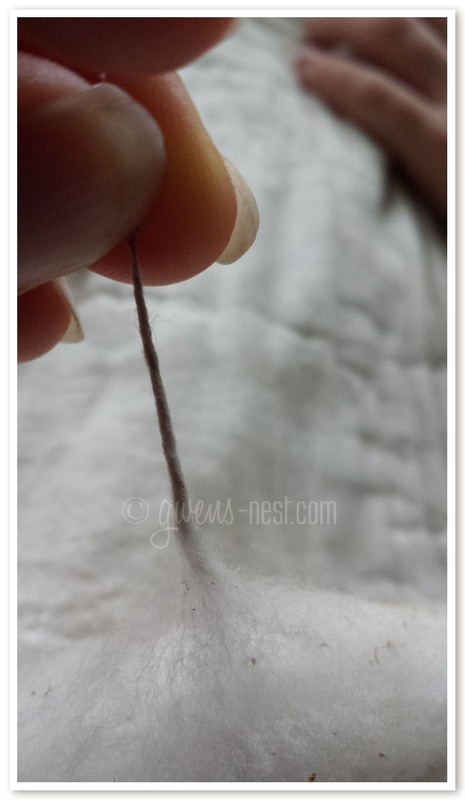 We spread out a clump of cotton, and tried to pull the seeds out. They were pointy and were very hard to remove. That’s why they used the wire combs to do that work. We twisted cotton and marveled at how a plant can turn into a string that can be woven into fabric. We marveled at how much work went into making fabric and making quilts. We marveled at the history and beauty draped across our laps. 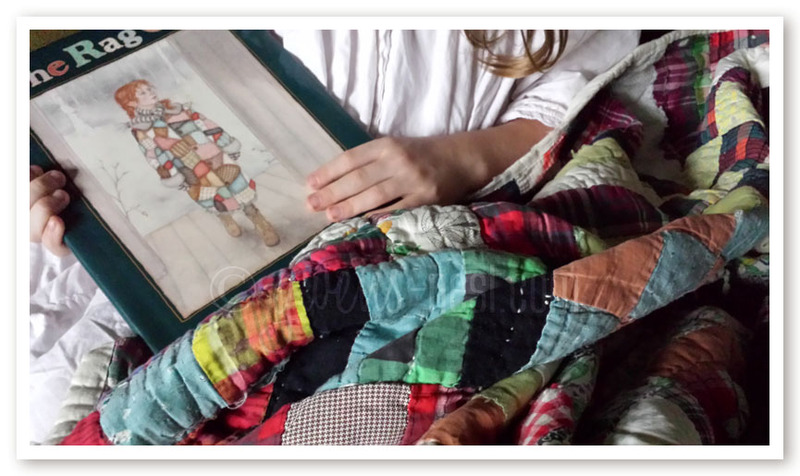 Tomorrow, I’ll share the story of how our family quilt was made. I’m grateful that this quilt and its history has been passed on to me, and that I can pass along the story to my children and to you. 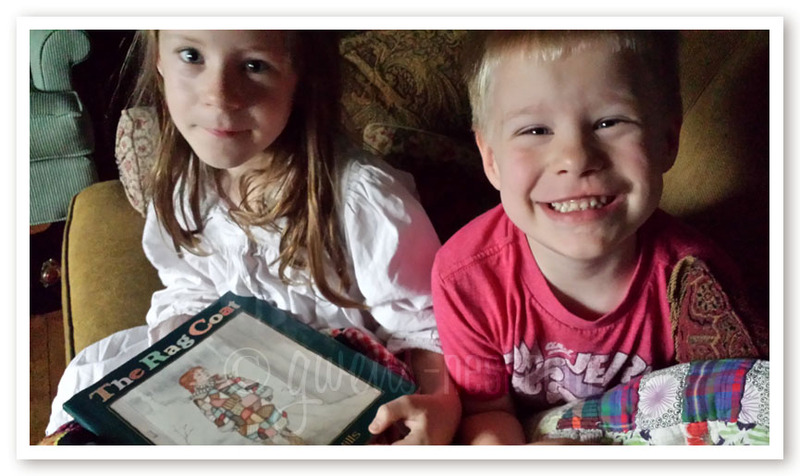 Do you enjoy sharing your family history with your children or grandchildren? What are your favorite stories to share? 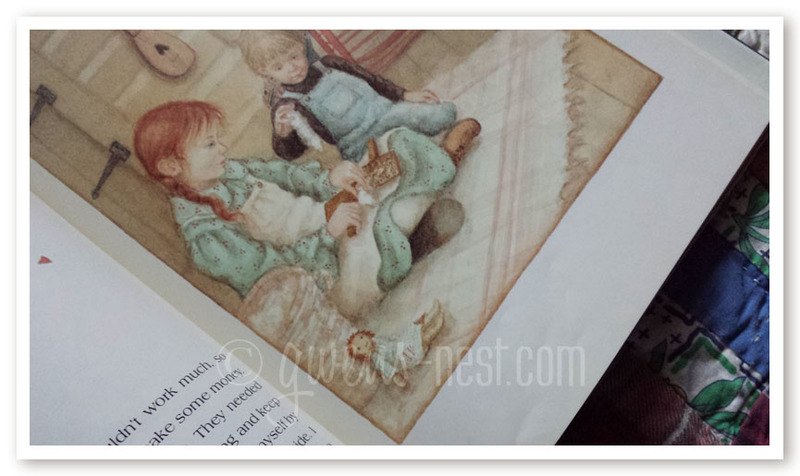 Do you have a favorite book from your childhood that you still remember? Pin to Save & Share! Hi Gwen, what’s the appropriate ages for this book? LOVE FIAR & The Rag Coat! A box of tissues is a must, when I read that book. Looks like a beautiful book – and a beautiful quilt to cuddle with – and a beautiful story of your grandparents! What would be the suggested age range for this book? 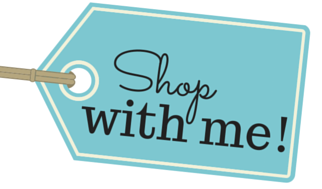 I am always looking for good books, games, etc for my grandkids. Trena is almost 6 and Matthew is 3. 1st through 3rd is what’s recommended by the publisher. My two were 4 and 6 when we first read it. 🙂 The Before Five In A Row series suggests some great books for younger kiddos! I simply LOVE reading to children – read to mine for years. This is a wonderful idea!